If you think you're seeing double, you are. 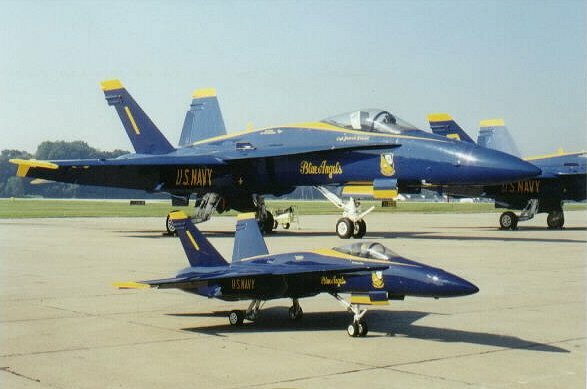 This is not a "newly hatched bird" but a very nicely built model of the "Boss Plane" in front of the real thing. 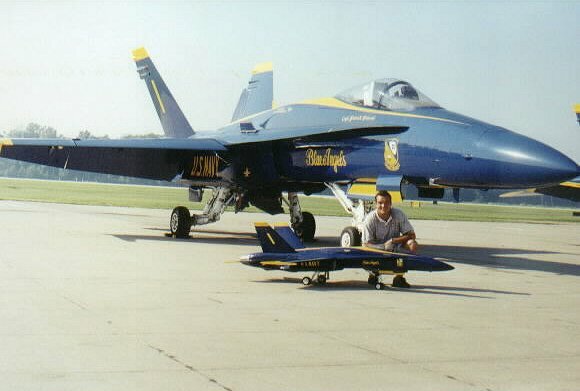 The smaller F/A-18 was built by Joe Steimann (pictured above). 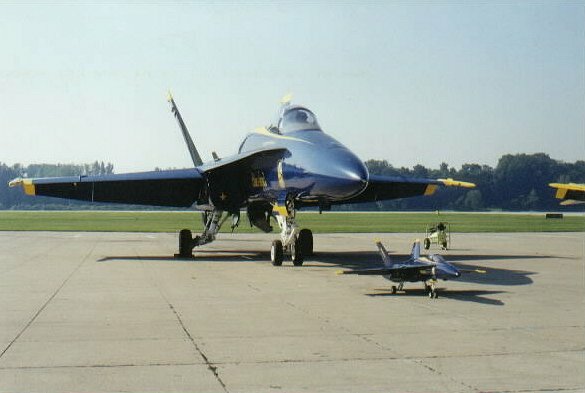 It's approximately 1/5 scale and built from a yellow aircraft kit. 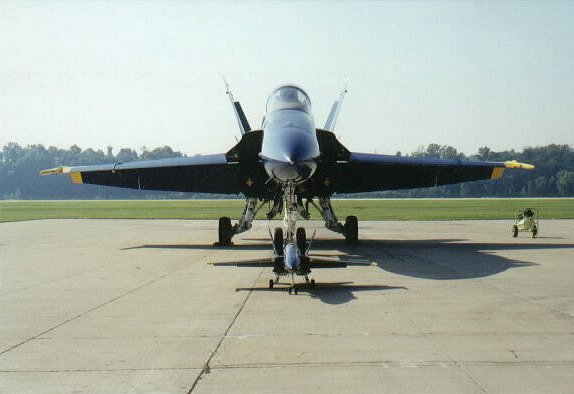 It is radio controlled, propelled by a ducted fan engine and does fly. I'd say it's about 6ft. long. 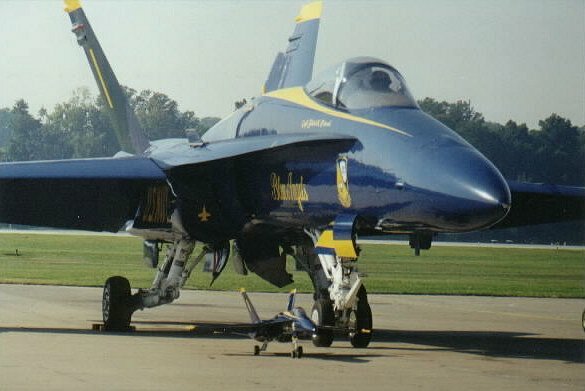 It, of course, was patterned after the team leader's aircraft and was built when the Blue Angels still wore the McDonnell Douglas name.